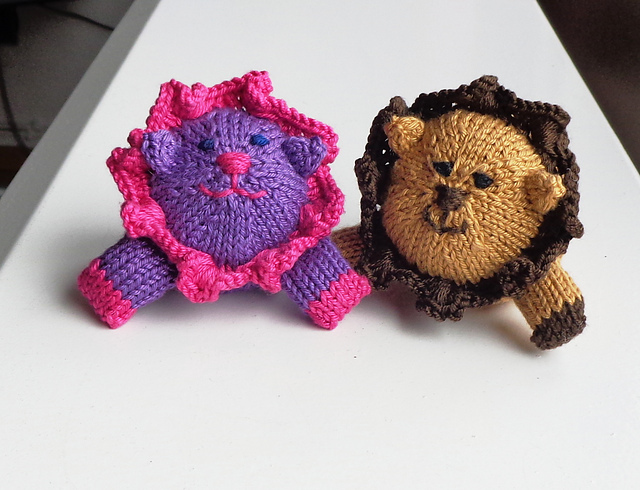 I started off making toys because of my nephews and now continue making them for my own two heroes. Just seeing my boys’s reactions when I show them a new toy prototype for approval is worth all the work in the world! We’ll look at pictures and wildlife movies together and decide which animal should be my next toy. They are both eager to test-cuddle the final results and I’m glad I’ve got these two critics to call my own. I would love to show my children all the animald that stand model for my toys in the real world, too. But for this to happen these animals need all the protection they can get. 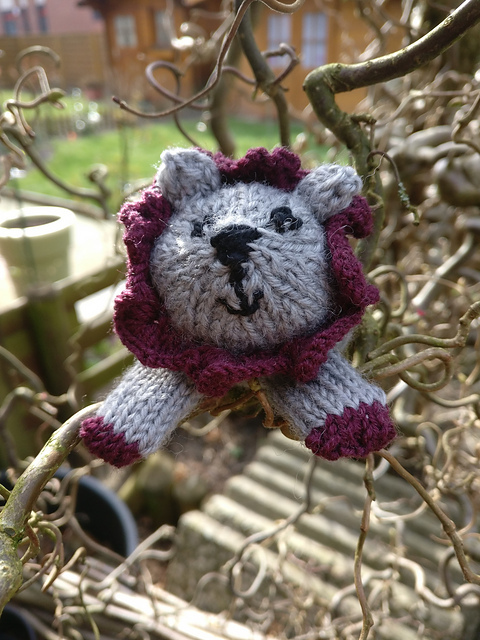 I am very happy to see so many of you buying the patterns and knitting toys! 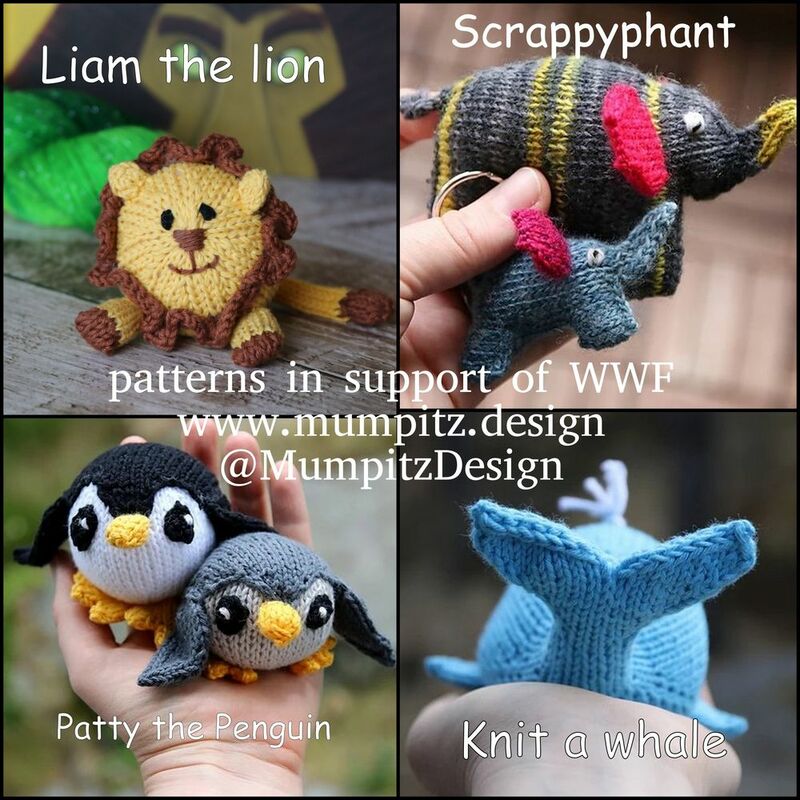 All the revenue from these four patterns go directly to the WWF, I don’t keep a cent. And I’m even happier to announce that the next donation has been made today! Thank you all for your support and for cheering me on! tag me on Instagram @MumpitzDesign . 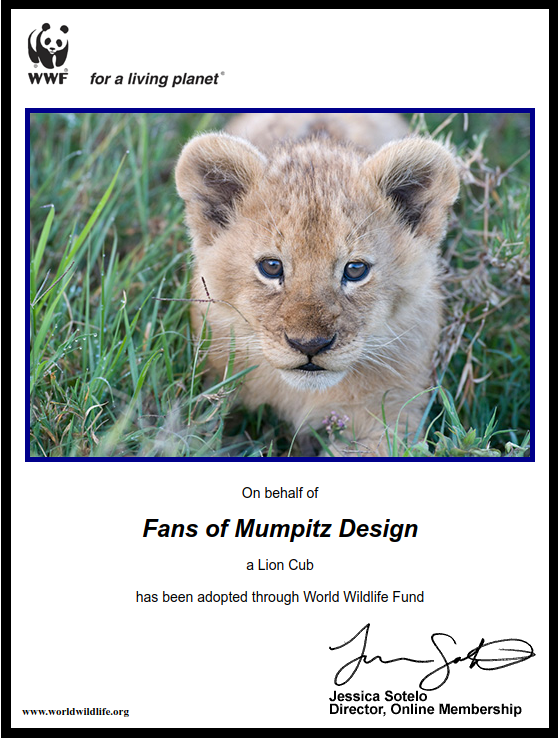 If sharing on social media please use the tag #MumpitzDesignwildlifesupport so that we can find your lovely projects! 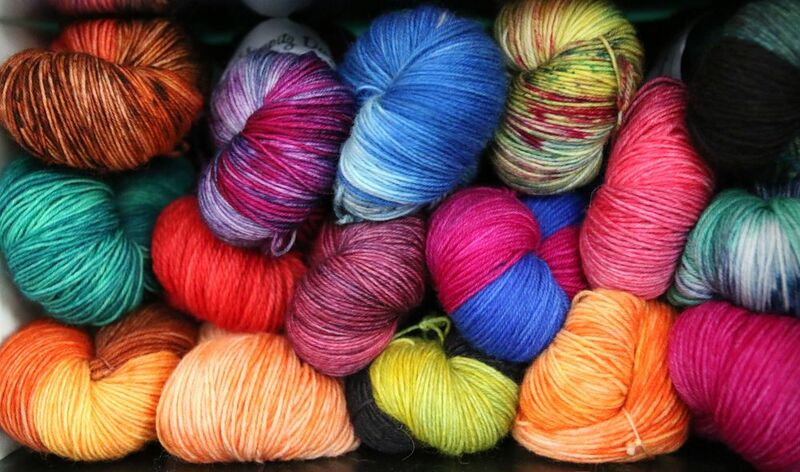 Everyone who does that will get 5 patterns of their choice from my Ravelry Store and ONE will even have the chance to win a skein of handdyed yarn for the cutest picture! What do you say: challenge accepted?? 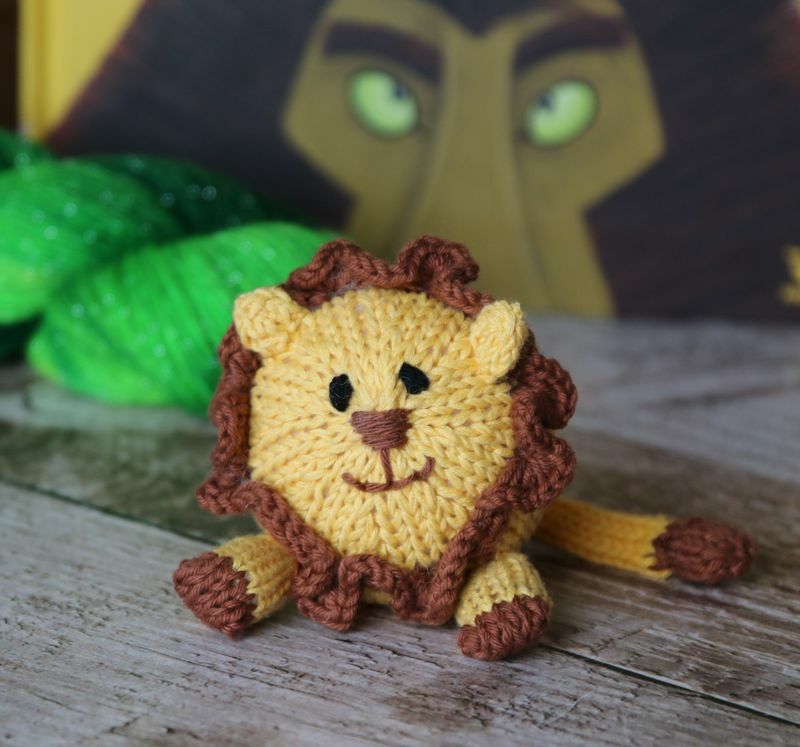 This majestic but cuddly lion is the ideal gift for small and big kids alike and is a quick project. 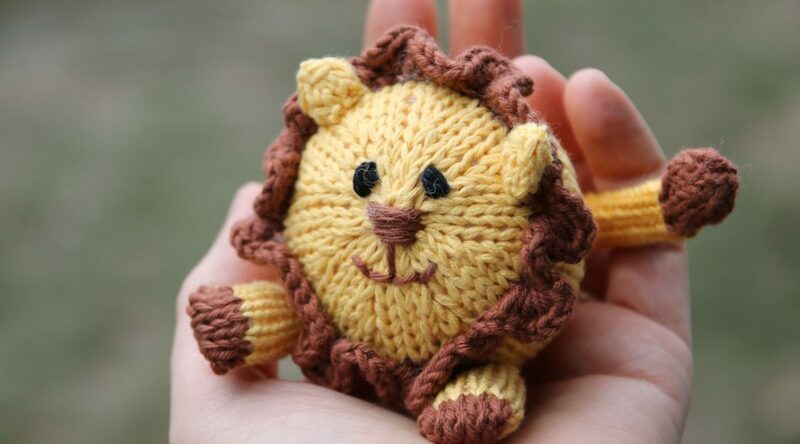 He is knit in the round with legs, ears and tail knit separately and attached later, but you can choose to pick up the stitches from the body and join as you go. 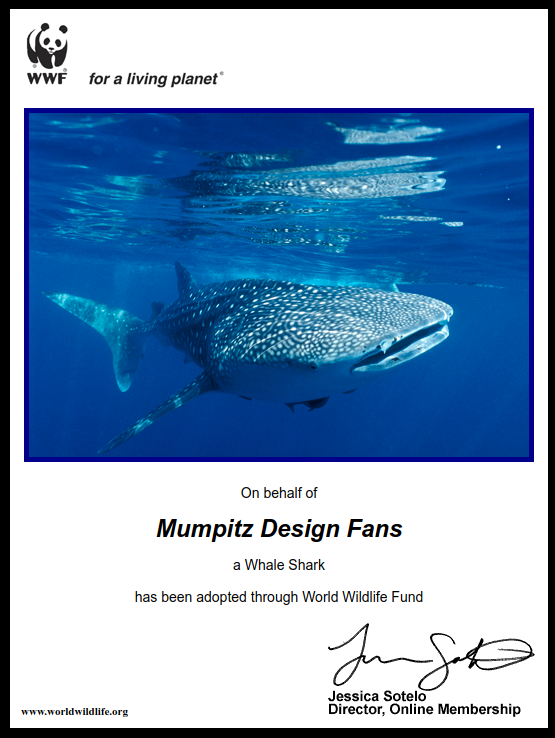 100% of the revenue from this pattern sale go directly to the WWF (World Wildlife Foundation). Thank you to my wonderful test knitters Binle, sylie, SiNessi, mokla010 and Suzieqtee for proof reading!! 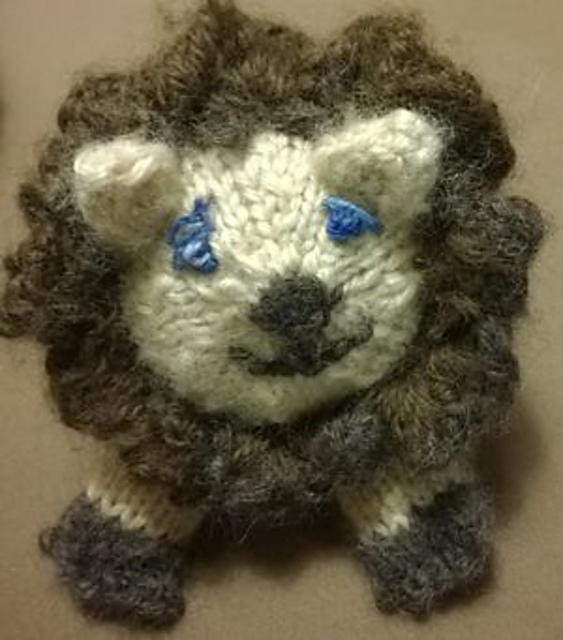 Update Mar 12 2019: New adoption!